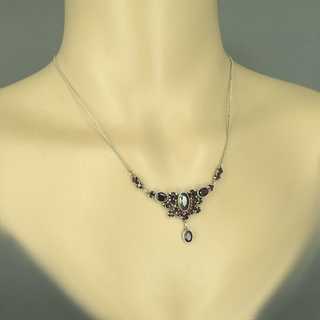 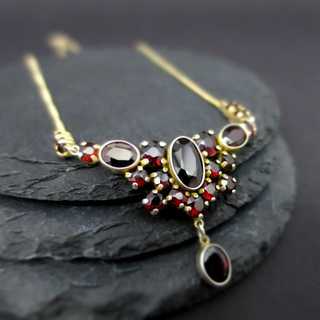 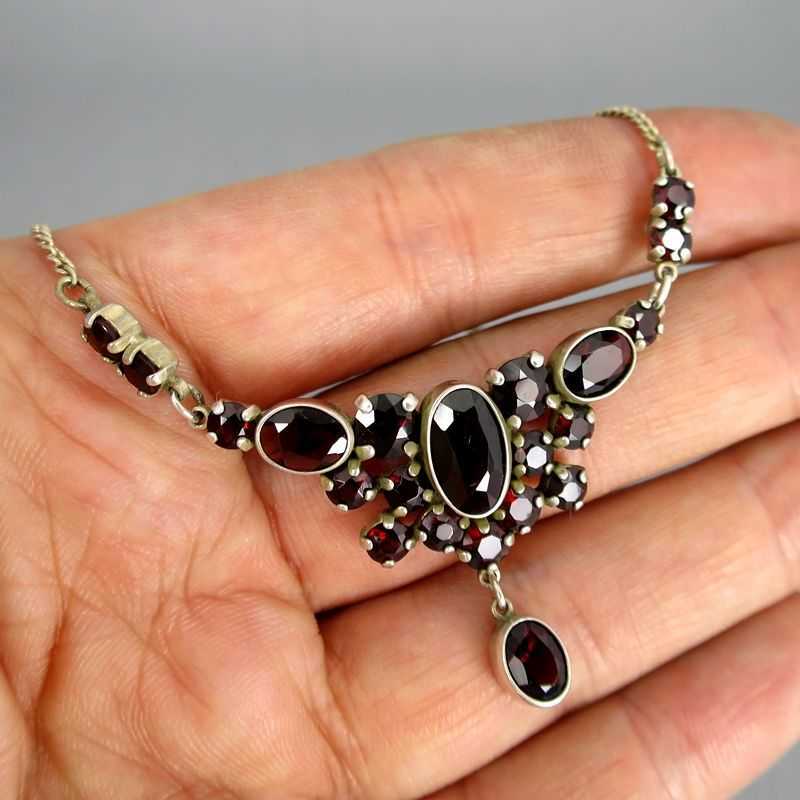 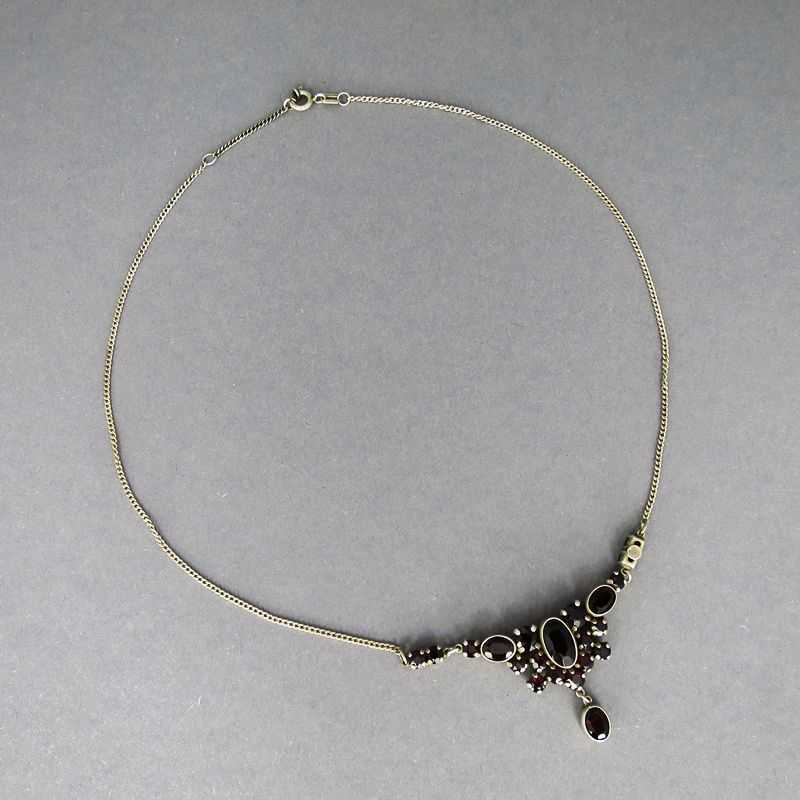 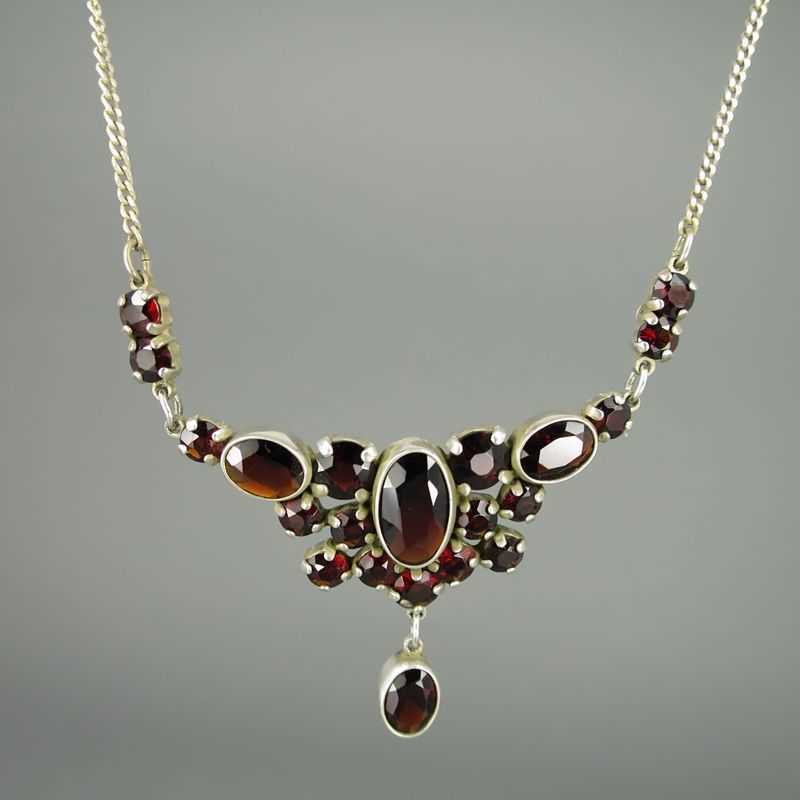 Beautiful collier necklace with deep red bohemian garnets. 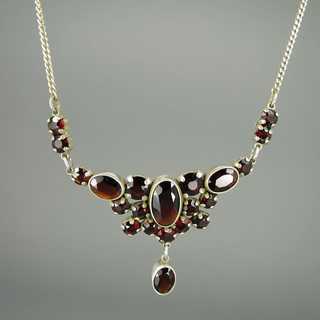 The stones have differend shapes and sizes and are hold by bezel resp. prong settings. 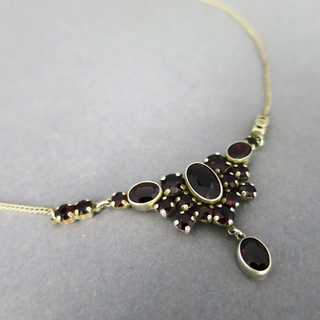 They are composed into a triangle-shaped central piece. 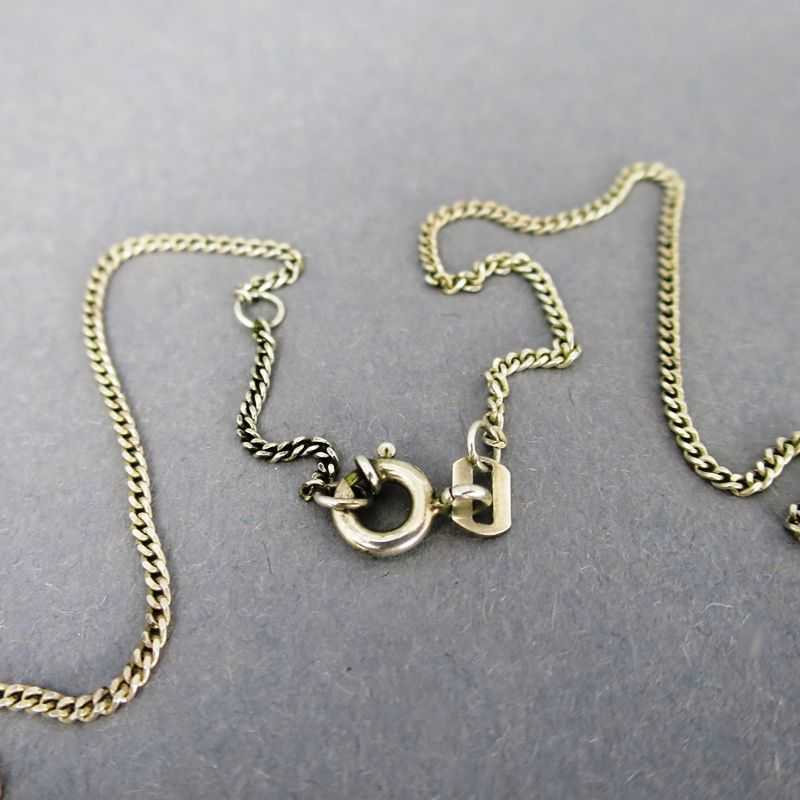 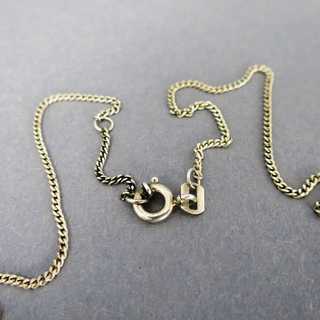 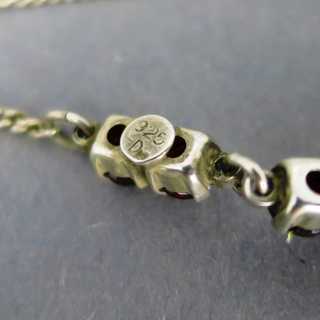 Delicate chain with spring ring closure. Made about 1960.